Jay Zagorsky currently teaches at Boston University’s School of Management. From 1988 to the present his teaching has spanned a wide range of levels from senior executives taking intensive classes to high school students encountering economic theories for the first time. He has taught giant lectures of over 450 students, classes of fifty, and small seminars with fewer than ten people. In addition to teaching, since 1995 he has held the position of Research Scientist at Ohio State University, where he collects data as part of the National Longitudinal Surveys on income, wealth, and life experiences of thousands of Americans. His personal finance research has been widely quoted in the media and has been highlighted in the Wall Street Journal, USA Today, Fox News, Good Morning America, Scientific American and numerous other news outlets. 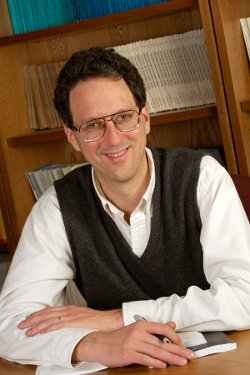 Besides publishing numerous scholarly articles he wrote the book Business Information: Finding and Using Data in the Digital Age for McGraw-Hill/Irwin and has edited books on the National Longitudinal Surveys.